"Elf" redirects here. For more uses, see Mad Elf Mouse. The Elf Mouse is an Event Mouse found during the annual Great Winter Hunt event. This greedy little mouse managed to infiltrate Santa's workshop by disguising himself as one of Santa's elves. Capturing this mouse will return the presents to Santa, but don't worry, he'll be sure to let you keep one! This mouse is available around Christmas. Information on how to locate and capture the Elf Mouse can be found on the current Great Winter Hunt location page. 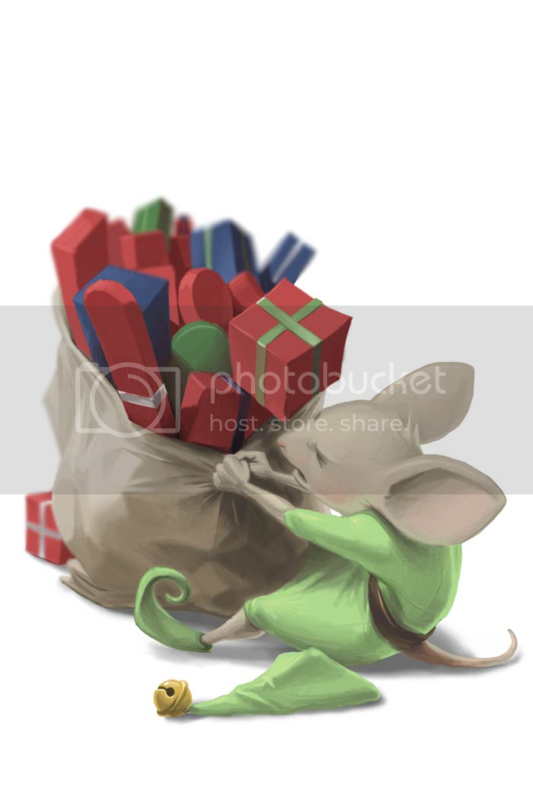 11 December 2008: The Elf Mouse is released for the first time and drops Gift and Magically Wrapped Gift as loot. 13 December 2016: The points/gold for Elf Mouse were changed. This page was last edited on 18 December 2017, at 12:52.